NOTE - no blog on Monday - power will be out from 7AM-5PM for electrical repairs, plus local schools are closed for Easter holiday, and so I'm off too. As usual, there's all sorts of time-consuming USATT stuff going on behind the scenes. I get a double-whammy because I'm both on the USATT Board of Directors and chair the USATT Coaching Committee, both unpaid volunteer positions. (I'm probably going to have to drop one of them next year - just too much.) A lot of it is email correspondence. Fortunately, I'm a writer, so emailing is a strength. But then you add all the local volunteers stuff (such as the monthly MDTTC newsletter I'll be working on today), and then add in all the actual paid stuff, and I'm pretty busy. The Event Listing for the upcoming USA Nationals in Las Vegas (July 2-7) came out this morning. The entry form for the Nationals should be out soon, hopefully next week. I haven't asked why it's been held up, but my best guess is, well, see what I wrote above. I'll post here as soon as it's up. I will be attending both the World Veterans (where I'll primarily be doing daily coverage) and the USA Nationals (where I'll primarily be coaching). I'm entered in singles in the Veterans, but because of my shoulder problems I'll likely drop out. For that reason I'm also not playing doubles - three people have asked me, but I've had to say no. 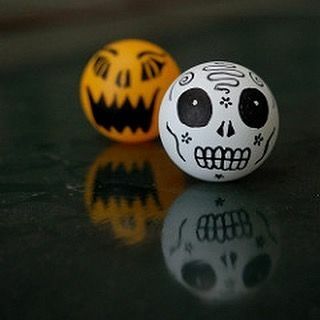 I haven't done any private coaching in a month, though I've done a number of group sessions and fed a lot of multiball. Tentatively I might try some private coaching next weekend - we'll see. But I can feel that the shoulder still hasn't healed. Dang. The Veterans are June 18-24, the Nationals July 2-7, so I'll have about a week in between where I plan on taking a reading and writing vacation right there in Las Vegas. I'll likely run a USATT coaching seminar on July 1, which is a Sunday. I might also help out with some training sessions at the playing site just before the Nationals. Have You Practiced Your Serves Recently? Well why the heck not? Get to it!!! Here's Practicing Serves the Productive Way. Here's the ITTF home page for the event, March 28-April 1, in Guadalajara, Spain. The first two days were preliminaries; the main draws start today. Articles, results, pictures, and video. Here's the video (19 sec, including slo-mo) by Adam Bobrow. Why does Adam get so many videos like this? Because 1) he goes for lots of "crazy" shots, and 2) he videotapes them, and 3) he puts them online. Why don't you? I focused on basics in my group today - forehands, backhands, footwork, and serves. The strokes are coming along nicely. One girl "invented" a heavy topspin serve, with almost a looping contact - she did this on her own, I hadn't even taught her yet about the different spins or what a loop was. She was so excited about it I didn't have the heart to tell her that she hadn't invented the serve. Others in the group had difficulty returning it, and so were trying to copy the serve. It was interesting contrasting two players and their forehands. One had a tendency to take a short, quick stroke, and hit the ball on the rise with a jerky, almost slap-like stroke. The other tended to take a long, wandering backswing, with a flapping wrist, and hit the ball late with a very flat contact. Both improved as the session went on, but the two shots were such extremes I told them that, on average, they had perfect forehands. We did the ten-cup challenge, where I stacked ten cups into a vertical pyramid (four on bottom, then three, two, and one on top), and with me feeding multiball, each got ten shots to see how many they could knock down. In the first round, two knocked over seven, three got six. The second time around, three got seven, but the last player got eight - or as I put it, no one had ever gotten that many in billions of years, not on that table on that morning. Someday I'm going to figure out if, to the kids, I'm a towering pillar of ping-pong wisdom, or just that guy who gives them Jolly Ranchers (candy) and my smart phone to play with during breaks. Hmmmm…. Ramen in Slovenia and Australia, but Lo Mein in Japan, by Robert Ho. Here's the USATT article by Ray Huang. Here's the video (48 sec). Finding Simple Tactics That Work. We had a great first day of camp yesterday. As usual in recent years, I worked with the beginners - though they weren't all exactly "beginners"! I got to work with one five-year-old for the first time. I was expecting to have get him started, but lo and behold, he'd been taking lessons regularly with our coaches, and already had an excellent forehand, a decent backhand when in position (not easy when your head barely comes over the table and so the racket hides the ball when you hit backhands unless you hit from the side), and had incredible focus for his age. He was fun to work with. There were five in my group. All had played, though two (both about 8) hadn't had formal coaching. With those two, I focused on the basics, while the others did more footwork. By the end of the morning training session, all five were doing the two-one drill. They had great stroking practice at the end of the session when we did the cups game, where they'd stack cups into walls and fortresses, and then knock them down as I fed multiball. During break I taught two of the older players (both about 13) the "backspin game." Each serves backspin five times, twice each. (No rallying in this game.) If the ball bounces back into the net, one point. If it bounces cleanly back over the net on one bounce, three points. If it bounces back over the net but takes more than one bonce on the far side, or nicks the net in either direction, it's two points. My record for three-points in a row (i.e. bounceback serves) is 14. I took one turn, didn't do so great, but scored 14 points in ten serves, with four three-pointers and a pair of one-pointers. The two new players played for a while and both did a few three-pointers. Soon they'll be challenging me, so I better go practice! Here's the ITTF home page for the event, which was held this past weekend in Bremen, GER. Ma Long is back!!! Here are some links. Here's the article by Brian Pace. Here's her Go Fund Me page. Here’s chapter 21 of Tim Boggan’s latest volume, which covers 1993-1994. 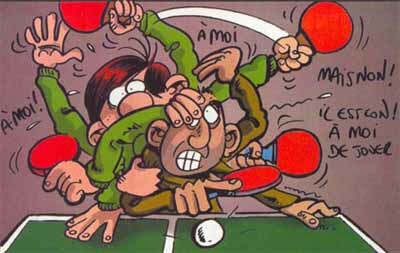 Or you can buy it and previous volumes at www.timboggantabletennis.com. Chapter 21 covers "Jan/Feb 1994 -Tournaments." 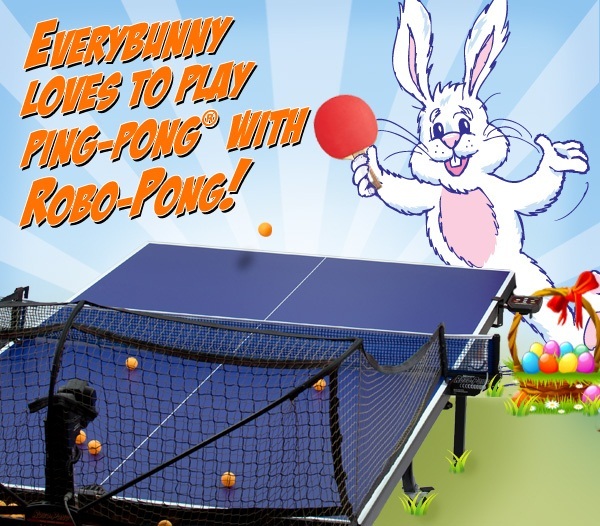 Here's the video (61 sec) of an "interactive digital table tennis experience." Here are two new videos. I'm coaching this morning at the MDTTC Spring Break Camp, and ran out of time to do my blog. I'll be back tomorrow. 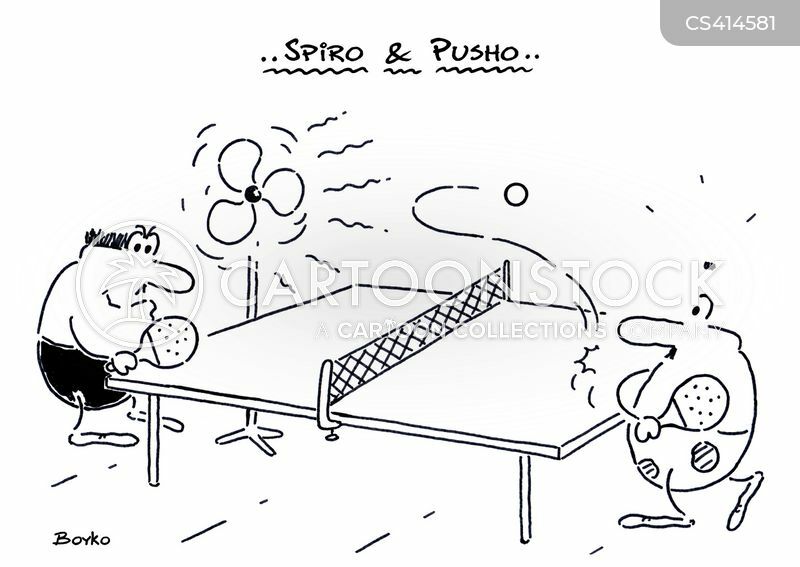 Meanwhile, here's a Doubles Fighting Pong Cartoon - could one of them be you? There's a huge difference between coaching, say, a young, up-and-coming player, who started out with a good coach and has good basic technique; and coaching either an older player, or one who has technique problems. Now compare this to coaching older players and players with technique problems. Older players are not striving to play like younger top players, since they are less physical, and so the coaching is different. But inexperienced coaches often have trouble with this, since their experience is often from their own past as a younger, highly physical player. Even I have to remind myself sometimes that there's little point in having older or out-of-shape players do, say, the 2-1 drill, except as a fitness exercise. The focus on coaching players with poor technique is either fixing the technique or compensating for it. At first glance, this can seem easy for a top player - he knows what good technique is, and simply shows the player with bad technique what he should be doing. Sounds easy, right? But it's far from that as fixing bad technique is more about identifying the root problem or problems. Changing Bad Technique is tricky, and it takes coaching experience to identify problems and how to fix them. Worse, Technical Problems Often Come in Pairs, and inexperienced coaches often see one problem and try to fix that, without noticing that second one - and so they are doomed to fail since you can't fix one without also fixing the other. Meanwhile, a coach is always walking a fine line, balancing the idea of fixing a player's technique with whether it's worth doing so. If a player has reached a high level of play with techniques that aren't considered sound, that doesn't mean they need to change. The shots might be too ingrained to significantly change for the better, and it might be better to focus on other aspects of the player's game, which might lead to better long-term improvement. Some might argue, "But Larry, if you'd listened to the coach, you might have had an even better forehand!" Sorry, but that only would have worked if the coach had gotten me many years earlier, and if I had many hours to work on it. In theory, if I were to devote myself 100% to tennis, 40 hours/week, then perhaps I should have worked on the forehand technique, and after a long period of work, it might have gotten subtlety better. But that's not the real world, in tennis or table tennis, and so it was far more important to work on all the other aspects of my game. There was some frustration that I was winning all my matches by pounding consistent forehands, while losing on my backhand, overheads, volleys, and serves, and all that one coach wanted to work on was my forehand! So it takes some experience to work with older players or those with technique problems. It also takes judgment, where you work with the player in choosing priorities. Trying to turn a 60-year-old, who has been blocking and hitting for forty years, into an all-out looper is silly, yet I've seen coaches try to do that. Of course, it might be the 60-year-old's choice to do so, in which case it isn't silly - and it's never too late to learn new tricks! Here's the ITTF home page for the event, which starts today in Bremen, GER, March 23-25, 2018. Here's the video (20:54) from Pongnews/Tomorrow Table Tennis. Here's the new issue that came out on Wednesday. Here's the article and video (1:53) featuring the St. Joseph Valley Open this past weekend. Just a short blog as I'm off for a morning shoulder therapy session to make up for the cancelled one yesterday, due to the snow (about eight inches). I'm still a bit worried about the shoulder as at least once a day I do something that reminds me that there is still an injury in there. Much of the therapy is not about the injury, but loosening up the muscles around it that are constantly pulling on it. (I probably have the tightest shoulder muscles in the history of the galaxy.) As noted in a previous blog, I aggravated the shoulder last Wednesday while tossing a power cord under a table. That's all it took. Tentatively, I plan to start private coaching with beginners starting Saturday, March 31, and see how it is. I'm leery of testing it against stronger players, where I'd have to get more physical. Here's the video (32 sec) from EmRatThich. Here's the article. 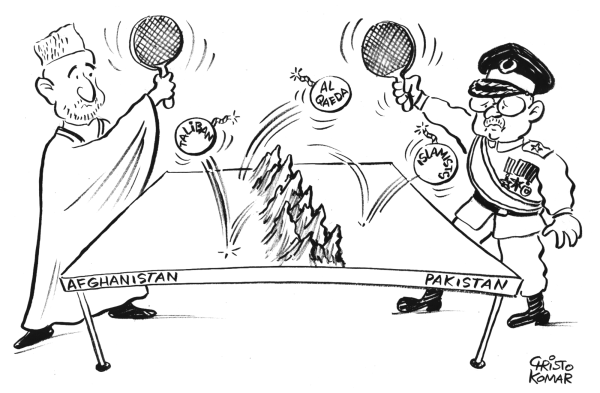 "The International Day of Sport for Development and Peace coincides with World Table Tennis Day. 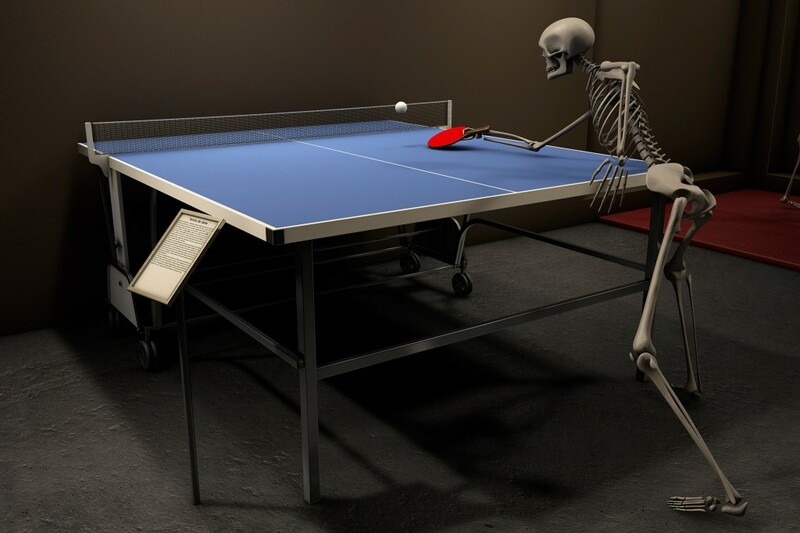 The International Table Tennis Federation will celebrate with events around the world and will also make a big announcement that day." Here's the video (31 sec). Yes, it's snowing - we're supposed to get 5-8 inches here in Maryland. But that barely affects us, an indoor sport, correct? Well, obviously it does affect us as players have to get to the club before they can take part in the world's greatest indoor sport. We had to cancel our Tuesday night league last night due to weather. 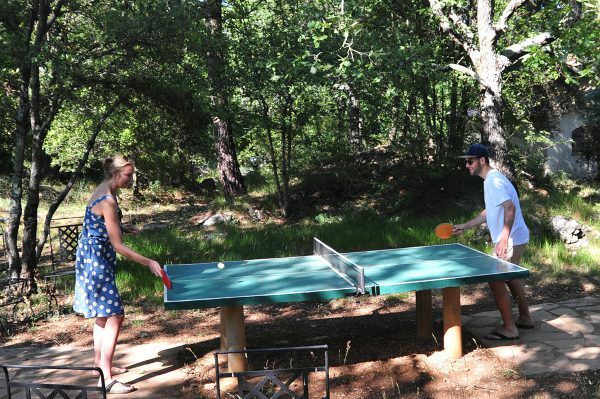 Table tennis can be played anywhere. Don't believe it? Here are two coaching videos. Here's the video (2:30) of USA's Kanak in the round of 32 of Under 21. Here's their grand opening notice for April 6 in Glen Head, NY. Though it's only a part-time club, I like the combining of chess and table tennis - after all, the latter is often called "chess at light speed." 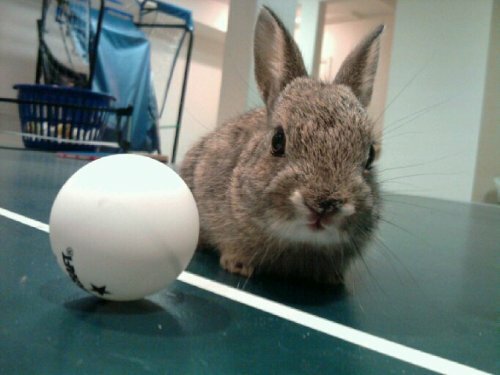 Or should we call chess "table tennis at molasses speed"?